In the changing business landscape that we all encountered in the second half of 2015, it’s more important than ever to be using and trusting your intuition as well as your intellect. 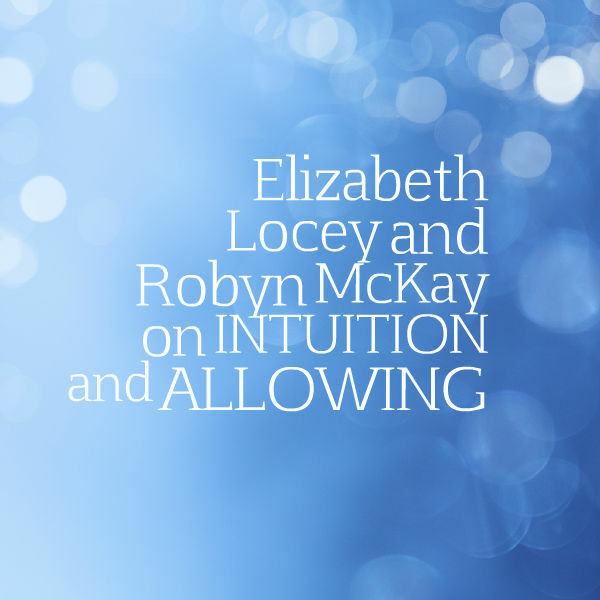 You’re invited to join Robyn McKay as she hosts Elizabeth Locey, Ph,D., to talk about the importance of blending the masculine and feminine energies of intellect and intuition; doing and allowing; figuring it out and channeled wisdom. Elizabeth a Ph.D. in French Lit/Women’s Studies who gave up tenure and a distinguished career as a professor and scholar to become an Oracle. And along the way, she also invested in a ton of business training that she has since had to unlearn. That training worked brilliantly for a while (she built a global, six-figure practice in under 2 years), but then, once she had outgrown the “rules” of online marketing, she had to rely on her intuition to teach her how to recreate her business from alpha to omega. Instead of teaching French Cinema or Women Writers, Elizabeth now uses her award-winning teaching skills to lead people back to their inborn intuitions. We’ve set up the call to occur at a special 11/11 portal, which is perfect for talking about intuition. This call is especially for you if what used to come naturally is now engulfed in effort, and the more you push, the fewer results you get! This speaks to an ongoing energetic shift wherein, as we become more well known by the public and more comfortable with our own gifts and offerings, we are called to operate at a higher level, one that is more aligned with who we really are.